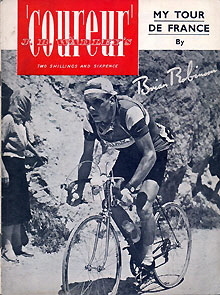 Named on its opening page as “Coureur” the magazine for the Sporting Cyclist - the “Coureur” part of the title faded away and it became simply Sporting Cyclist. 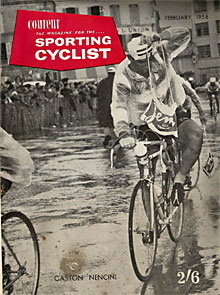 It was first published late in 1955 (as a quarterly) and in 1957 it moved to monthly. 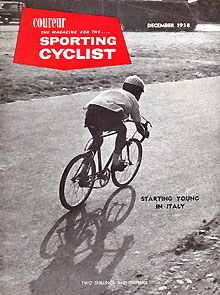 These are the earliest editions found so far. 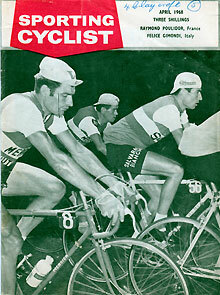 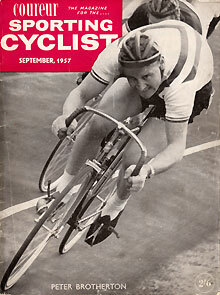 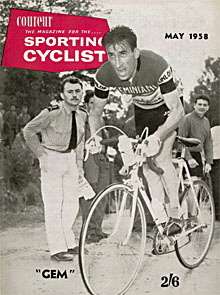 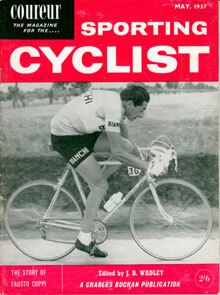 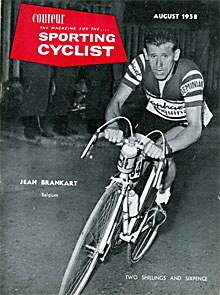 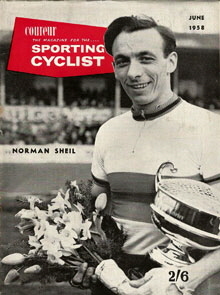 During the 1960’s Sporting Cyclist remained the sole glossy monthly magazine covering the sport in the UK. 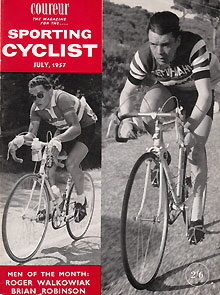 The only alternative for British fans was to search out copies of foreign language magazines at specialist newsagents or a few cycle shops. 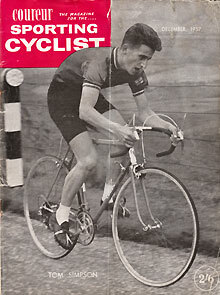 Sporting Cyclist kept up its monthly schedule until it eventually closed, after 131 issues, in 1968 more at Wikipedia... At that point Jock Wadley started again with a new magazine International Cycle Sport. 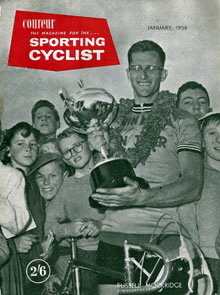 “THIS is the last issue of SPORTING CYCLIST; the last issue, that is, in its present form, originally adopted when it became a monthly, 11 years ago. 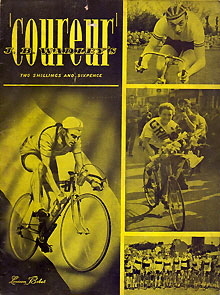 Conceived as a quarterly under the title of "Coureur", the demand quickened the production pace to 12 issues a year in 1957. 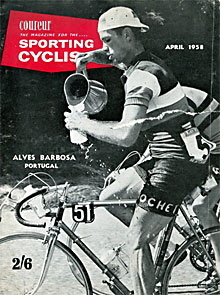 And now, from April 6, SPORTING CYCLIST will appear weekly, within the covers of its associated magazine CYCLING, yet retaining much of its popular identity. 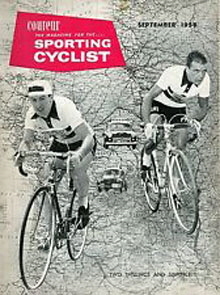 This new "tandem" will be known as "Cycling and Sporting Cyclist" and will bring the best of all home and foreign journalism within one set of covers every week. 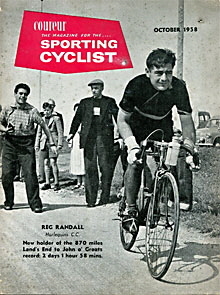 Inevitably, some readers will comment on the change, by the departure of founder J. 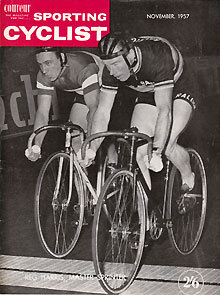 B. Wadley and his assistant Roy Green, and by the merger. 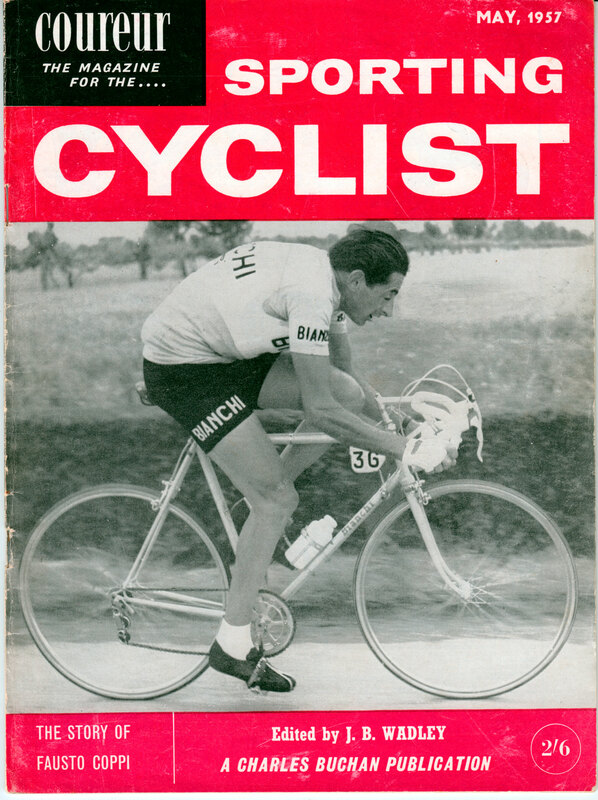 This is a critical time for cycling and, consequently, for cycling magazines. 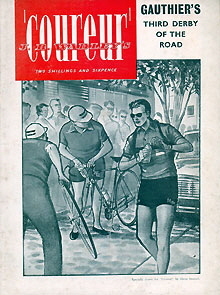 The post-war bubble of enthusiasm for the sport and pastime burst many years ago; club memberships shrank, the industry shrivelled and other publications collapsed through lack of support. 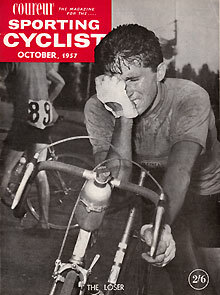 The gloom has not yet lifted. 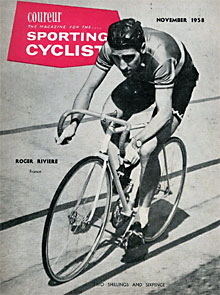 But there will be a revival in cycling interest; the signs are already there, with schoolboys among the front runners.
. . . in the 131st, and last, issue of "Sporting Cyclist" as a monthly, is from me, Roy Green. 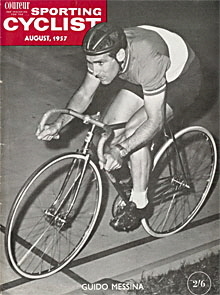 "Jock" Wadley, founder and editor of this magazine, left last month; now I shall be moving on to another journalistic field. 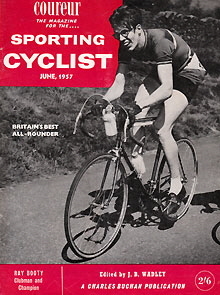 I should just like to say a very sincere "thank you" to Jock, a giant in the sphere of cycling journalism, whose influence on me in particular, and on the whole world of the British sporting cyclist, is greater than he would ever claim. 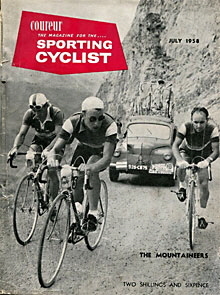 Thank you, too, to the many sportsmen and women, enthusiasts with whom we have shared the past years. 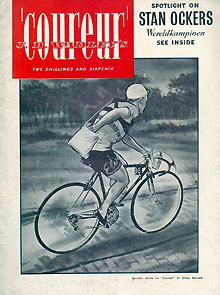 Often regular readers have been kind enough to tell us how much they have enjoyed our monthly fare. 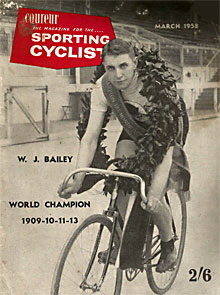 If that is generally the verdict, then it has been a very worth-while period indeed.